Image Stabilization comes in a variety of different names and types. Whether it’s called O.I.S. (Optical Image Stabilization), VC (Vibration Compensation), VR (Vibration Reduction), IBIS (In-Body Image Stabilization) or just IS (Image Stabilization), it all foundationally does the same thing – controls the effects of camera shake to produce sharper images. With the recent years, In-Body Image Stabilization has been created, and the bulk majority of the latest lens releases from Canon and Nikon come with some iteration of image stabilization. But what does all this mean, and how does image stabilization fundamentally work? Within your first year in photography, you’re likely going to learn a foundation rule of photography; while handholding, to avoid blurry images from camera shake, your shutter speed shouldn’t be slower than your focal length. So if you’re shooting with a 50mm lens, you’ll want to shoot at least 1/50th of a second to avoid camera shake. 200mm lenses should be shot at 1/200th of a second or higher, 400mm lenses at 1/400th and so on. However, this rule changes entirely once you add Image Stabilization systems into the mix. Most modern IS systems offer 3-5 stops of image stabilization, meaning where you once were theoretically limited to 1/200th of a second on a 200mm focal length lens, you can now shoot the same images at 1/13th of a second (4-stops of exposure). This has enormous advantages, especially when working handheld or with limited available light, which is why every camera and lens developer is working to extend image stabilization to 6 stops and beyond. By default, image stabilization comes in two different flavors – in lens stabilization or in-camera body stabilization. These two platforms work differently, but work to produce similar results. To put it simply, in lens stabilization has a floating lens element which is controlled electronically by a microcomputer and shifts in the opposite direction of the camera shake, helping to stabilize the image. All of this is detected in mere microseconds and can give you up to 5-stops of stabilization, depending on the lens, movement, and focal length. Below is a short diagram showing you how this works to help counteract any camera shake. 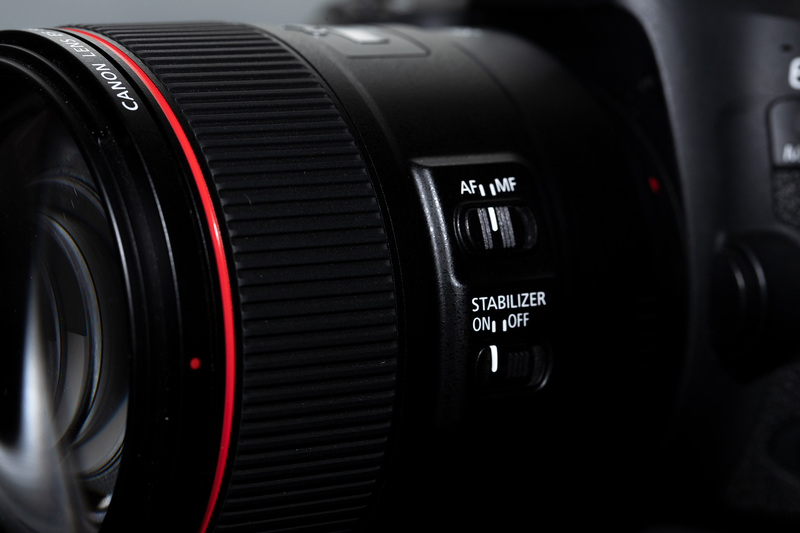 In-lens image stabilization is by far the most common type of stabilization system. However, there is another type of image stabilization system that is becoming more and more popular, commonly called In-Body Image Stabilization (IBIS). In recent years, through the help of Sony and Fuji cameras, In-Body Image Stabilization has become more and more common in cameras. Whereas image stabilization within the lens has a floating lens element helping to counteract the camera’s movement and shake, In-Body Image Stabilization has a floating sensor that helps neutralize any movement within the camera. The key advantage to this system is that if your camera has IBIS, all of the lenses you use with it will also have image stabilization. Is In-Lens or In-Body Stabilization Better? A common call we get here at Lensrentals.com is the cut to the chase “Which is better?”. But it’s not as simple as that, as both systems have advantages and disadvantages. For example, in-lens stabilization will generally perform better on longer focal lengths, because camera shake requires more compensation at the pivot point (camera) than it does within the lens. This is why many Sony telephotos still have in-lens stabilization, despite having IBIS on all of their mirrorless systems. So let’s look through some advantages of each system, to determine what works best for you. It’s far more effective in telephoto lenses. A subtle shake of the camera is pretty drastic when shooting at 500mm, and will naturally be better compensated within the lens rather than the camera body. Lens stabilization works better in low light conditions. Because the IS is working as an independent unit, you’ll have better results with in-lens stabilization while in low light conditions. In-Body Image Stabilization will often have trouble metering and focusing in lower light situations while activated. By in large, In-Lens Stabilization is more effective. While many camera companies developing IBIS will deny this, generally in-lens stabilization will provide better results. This is because the image stabilization is fine-tuned for each lens, and usually offers multiple IS modes depending on the situation. However, with systems like the Sony a7rIII and Sony a7III offering 5 stops of image stabilization, this argument is slowly fading away. Has no effect on your metering and autofocus. Unlike with IBIS, in-lens IS will have no negative effects to your autofocusing and metering while activated. By design, In-Lens Stabilization will offer better battery life. 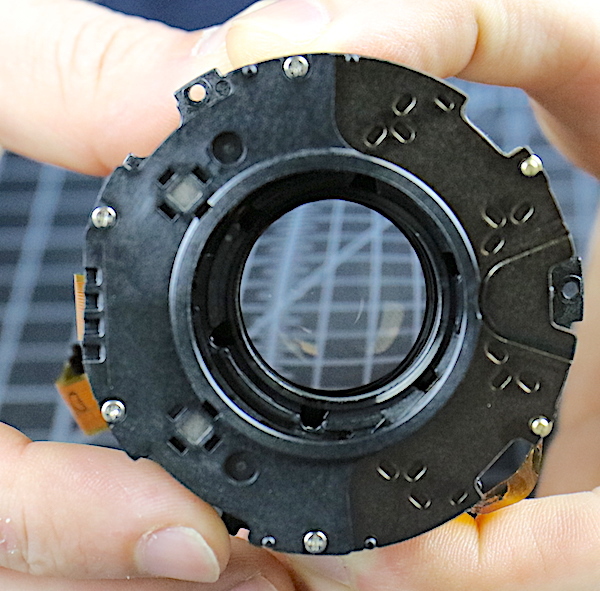 In-lens stabilization requires smaller motors to move the optics for camera shake, and is far less draining on the battery when compared to in-body image stabilization. Generally, In-Body Image Stabilization (IBIS) is cheaper in the long run. While IBIS will usually be an added cost to the camera body purchase, it is a one time purchase and will usually result in lower lens prices, when compared to similar lenses with IS built in. In-Body Stabilization is universal – and works with all lenses. To further the point above, once you have IBIS, you should be able to use image stabilization with all the lenses in your kit. Unlike with most lenses with IS built in, IBIS operates in silence. If you’ve activated image stabilization on a lens, you’ve likely heard clicking and other noises from the lens while focusing. That is (usually at least), the image stabilization system making adjustments. IBIS offers cleaner bokeh when engaged. With IS turned on for in-lens systems, you’re asking the lens to make optical adjustments to counteract any movement, which can result in some weird bokeh. Because the optics are stationary with IBIS system, you will get a cleaner bokeh. There are a few misconceptions with image stabilization systems that we need to answer often through tech support calls. So let’s go over a few of them here. Can you use both in-lens stabilization and IBIS? In short, yes. While it is dependent on the camera system you’re using (for example, Panasonic has a list of compatible lenses), but you should be able to use them together. 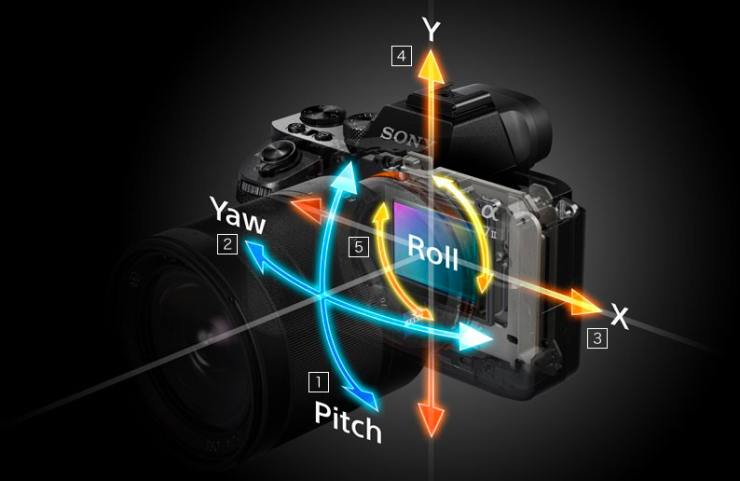 With Sony systems, activating both systems will delegate 3-axis stabilization to the IBIS, and leave the pitch/yaw adjustments for the Optical Steady Shot (O.S.S) in-lens stabilization. Fuji systems, at least the Fujifilm X-H1, work in a similar fashion; delegating specific axis’ to different systems to achieve the standard 5-axis stabilization. Should I turn off IS before demounting a lens? As a general practice, yes. If you have Image Stabilization activated on a lens, you’ll want to turn it off, wait three seconds, and then unmount the lens. Not doing this can potentially put the IS system in what we call an ‘unparked’ position, which means the optics are still floating, which could cause damage if shaken and jarred. Is there a theoretical limit to image stabilization? Olympus seems to think the limit is 6.5 stops of image stabilization. In a recent interview, Setsuya Kataoka, part of the Imaging Product Development Division at Olympus, claimed that image stabilization’s theoretical limit is set at 6.5 stops of stabilization, due to rotation of the earth interfering with gyro sensors. I’ll let the comments below determine if that is a scientific fact, or just marketing mumbo jumbo. Does image stabilization help with fast moving subjects? No. Image stabilization is designed to control only the movements from camera shake. It won’t help stabilize any blur caused by moving subjects. Likely because of patents, each brand has their own naming for their image stabilization, which is why most modern camera lenses have half a dozen letters slapped to the end of their official product name. So here is a quick reference guide for what each major brand calls their image stabilization system. Hopefully, we were able to help with any questions you may have had regarding image stabilization, and if you have additional questions, feel free to chime in in the comments below or give us a call. Yeah, yeah, yeah. Blah, Blah, Blah. If you are talking about a Lumix G9… It is just over 20mp, not 80 mp. The high resolution mode takes multiple images to build an 80mp file. Not the same as native 80mp. In fact, the G9 has that mode precisely because M4/3 isn’t quite up to the task. BTW: I also have in camera FF HDR. 10 second handheld shots? So what? I own an Olympus micro 4/3 camera. Believe me, not even in the same ballpark as FF. Gotta crop much? Then M4/3 is absolutely not the answer. Or should I say, “Micro Fool/3”. Clever, huh? Not. It was a rhetorical question. There are no “cheaper because they don’t have IS but have the same focal length, aperture, IQ, etc.” lenses. Yea, tell me about it, with 80MP raw files, in-camera HDR, and ten-second hand-held shots. I’d have to give all that up to go to Fool Frame! The biggest advantage of Fool Frame seems to be dimly-lit moving subjects. In that case, you can’t rely on IBIS to give you a lower ISO so you can match Fool Frame noise levels — which it does, handily, when you have several stops lower ISO for the same light, due to IBIS. Yeah, but now you are shooting Micro 4/3 and not full frame. Crappy. You left out sensor cleaning! Olympus uses the IBIS mechanism to mechanically shake dust off the sensor, every time the power cycles. I have never had to clean my OM-D E-M1.2 sensor, but camera blogs are full of Canikony users, complaining about having to clean their sensors. Smaller and lighter (when it comes to lenses) is also a myth. Yea, that must be why I can pack six lenses and an IBIS body in a bag that only held two DSLR lenses and a body. Less expensive is a myth unless one is only speaking about camera bodies. Smaller and lighter (when it comes to lenses) is also a myth. Ahhhh… but aren’t you rotating with the earth at the same speed? @ZSuttonPhoto:disqus , thanks for the article it is quite helpful. I am surprised that for IBIS gyros are still used, I imagined (with no evidence) that at some point the sensor would just watch the image and follow it. From reading the comments I see many people are more fastidious than I (turn off IS on a tripod, at higher shutter speeds etc. ), I try not to turn off something that I may forget to turn back on later. I was recently on a cruise and took a good few photos, I did some with IS and some without, and I didnt notice a huge difference. After reading your article I am surprised that the IS/IBIS didn’t freak out on me. Those gyros had to be going nuts as the boat moved in all 5-axis while myself and my subject had relatively stable footing. I sort of want to go back and test low shutter speeds and see what happens. Logic tells me it should be IS/IBIS off, would love to know what other people have experienced. I am also maintaining one company regarding cameras. I’ve read your article.I found some interesting points.Those would be very helpful to the camera users.Thank you for providing this informative article.keep posting. Mr. Hogan, thanks for your answers, they are very helpfull. I lost my password of Disqs and could not reply before. Regards. Olympus has sold way more bodies with IBIS than Fuji. I wouldn’t even think of Fuji when thinking about that feature. 1. You’re getting into an area where the camera companies haven’t given us a lot of help. Nikon used to have a mode called Active on their VR lenses. What that did was look for and attempt to mitigate vibrations in the platform you were shooting from (true of a vibrating stadium platform or helicopter whether you’re shooting handheld or are mounted to the platform itself, though the latter case is worse). 2. Yes. I’d guess that if you looked closely you’d also see vignetting has shifted off center in those cases, too. On a perfectly centered and aligned lens with no element tilting, vignetting and edge astigmatisms are going to show up when the sensor shifts to one side. On an imperfectly aligned/tilted lens, things can be more dramatic. Nikon, for some reason, used to make a lot of their DSLRs/lenses with a slight below center alignment, which would have made it easy for IBIS to show edge of image circle issues. Of course, Nikon didn’t have IBIS then ;~). But they do now, and those slightly misaligned optics would show what your’e talking about when shifted one direction. Not exactly. A tripod or other support system often has high frequency vibrations (ringing) in it from various sources (wind, shutter slap, rough camera handling, insecure joints, etc.). 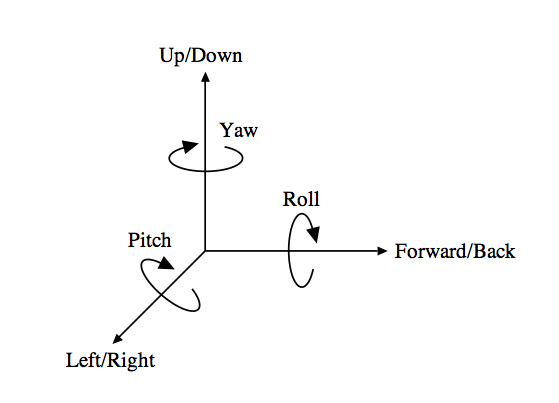 Some IS systems attempt to isolate different types of movement and adjust accordingly. However, there’s an upper end to both the detection and the actual response movement in all IS systems. What tends to happen when you’re using shutter speeds above the upper end ability of the system is that you get an aliasing type effect (which is what Pentax uses to advantage to do a user-selectable AA type filtration). It’s why I recommend turning VR off with shutter speeds above 1/500 on older Nikon lenses, 1/1000 on all. Edge acuity will be better at 1/2000 without VR active than with it active. 2. You mean turn IS off if camera powered off? No. But note that cameras don’t immediately power off just because you turn the switch to off. If they’re still doing something, e.g. writing to a card, they’re not powered down. I’ll try to help here. 1. The on-sensor PD focus systems, for example, tend to be using every pixel in a row, and the “smallest” focus area used is actually a range of pixels (in a Nikon Z7, that’s about 240 pixels). When the IS is moving the sensor, those 240 pixels are looking at a different area. At some level, the camera has to figure out which of the 240 pixels its really going to use (or an average) for focus information, so shifting that zone all the time can have consequences. Indeed, it tends to have more consequence on vertical action, as that same Z7 only has 25 rows of 240 pixels for the smallest selectable focus point. 2. Basically yes. But IBIS can also shift vignetting to off-center visibility, as well. There’s no perfect answer here. And yes, I’ve been advocating that IS/VR/IBIS/OS/OIS/OSS be turned off unless needed for as long as we’ve had these abilities. Note that Pentax allows you to use IBIS to create an AA like aliasing effect. Guess what? At some shutter speed, all the IS systems do that ;~). 3. It applies to all systems that I know of, though the way the IS is powered sometimes can mitigate the issue. For instance, in Nikon’s lens VR, if the camera is inactive, the VR is off, so removing a lens in that situation is usually fine. However, if the camera is active, removing the lens with VR active can result in what we call the VR DTs: the lens literally shakes after being removed from the camera; nothing’s controlling that shake while the power dissipates, so there’s potential harm in the VR system hitting boundaries. Some Nikkor lenses are prone to VR issues over time, and I think this may be a cause of some of them. The latest Olympus offering (OM-D E-M1x) apparently beats the “Earth’s rotation” argument with additional sensors, including GPS and accelerometers. I think they now claim 7.5 stops with this camera. IBIS has no clue that the Earth is ‘moving’ or ‘rotating’. Relativity 101. Pentax doesn’t have issues with focus and metering because both functions happen off the sensor due to being an SLR. IBIS on a mirrorless, where the focusing and metering happen on the sensor itself, are subject to these issues while the sensor is moving around to compensate for shake. the reason for being is due to the pixels taking a contrast, phase or light reading for focus and metering can move out of the light it was originally subjected to as the sensor shifts. But Fuji? FUJI???? Who are generally criticised for their *lack of* stabilised bodies?